Fluid simplicity animates this Roberto Coin necklace, crafted in signature white gold. 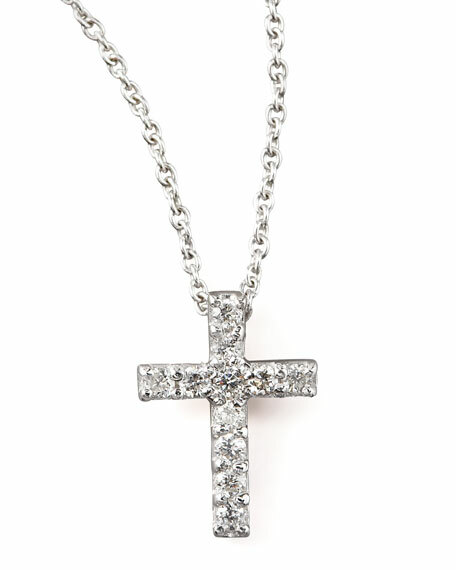 Pave diamond cross necklace; 0.10 total carat weight. For in-store inquiries, use sku #2124696.